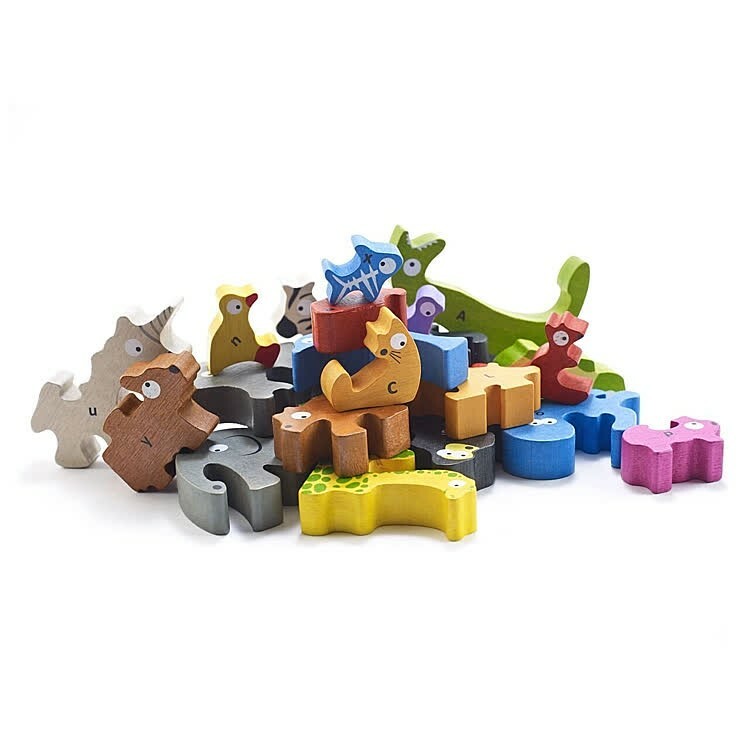 The award winning Animal Parade A to Z toy is a stacking game, a wild animal figurine playset, an alphabet learning puzzle, and a 3D jigsaw - all in one high quality plaything! 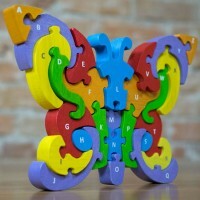 This rubberwood puzzle from the eco-friendly Begin Again toy company will WOW not only children, but parents, too. 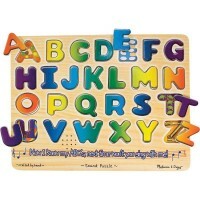 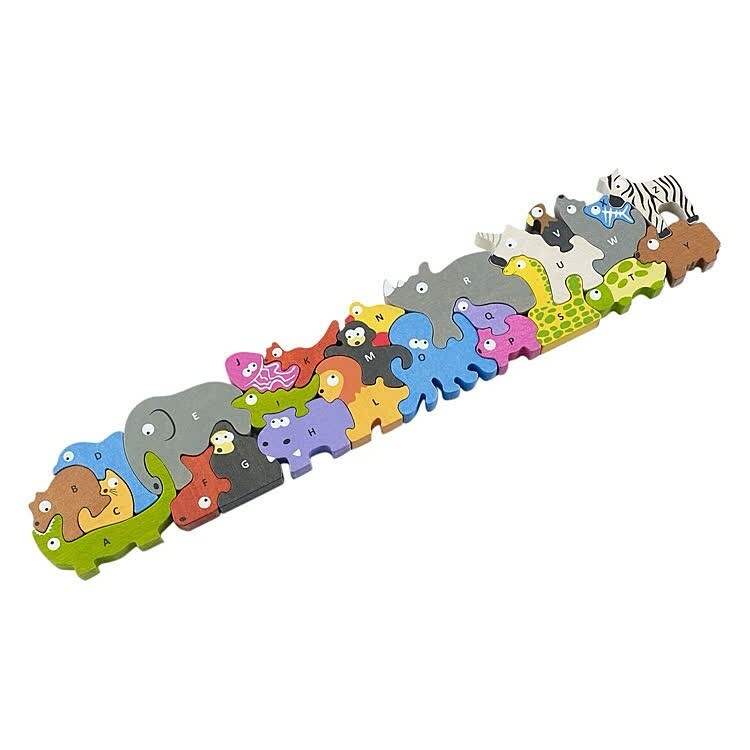 Animal Parade A to Z Wooden Animal Alphabet Puzzle Playset is super innovative with its play and educational value. 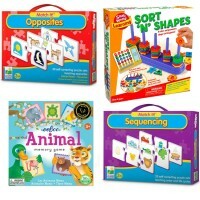 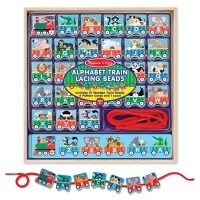 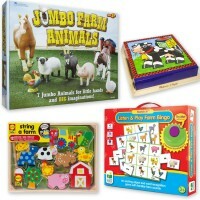 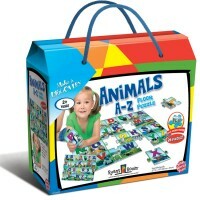 This learning toy is an alphabet puzzle, a wild animal figurine set, a stacking game, a challenging 3D puzzle and more! 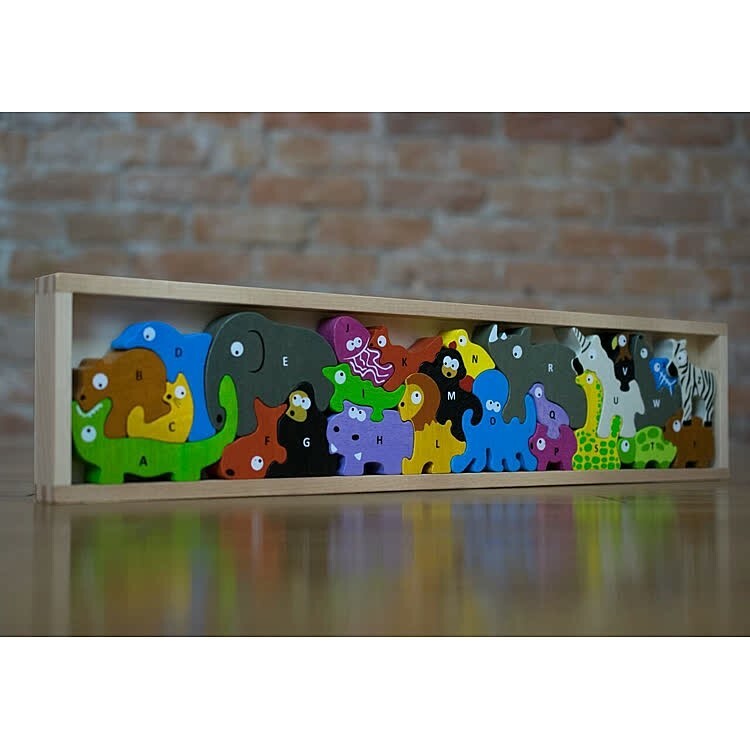 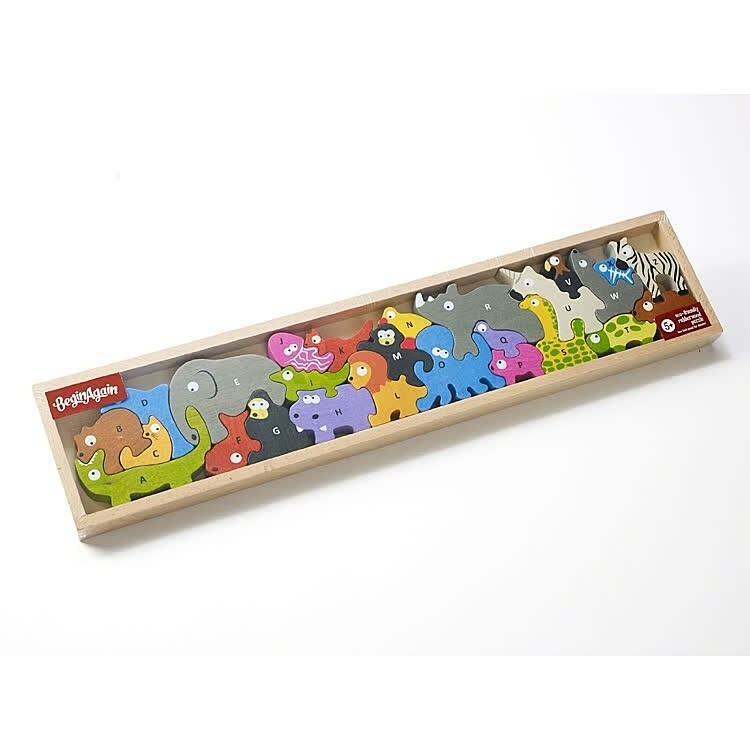 Made from rubberwood with non-toxic, child safe stains, this 26 pieces alphabet puzzle features one animal for every letter. Each animal figure puzzle piece has the uppercase on one side and lowercase on the other side. 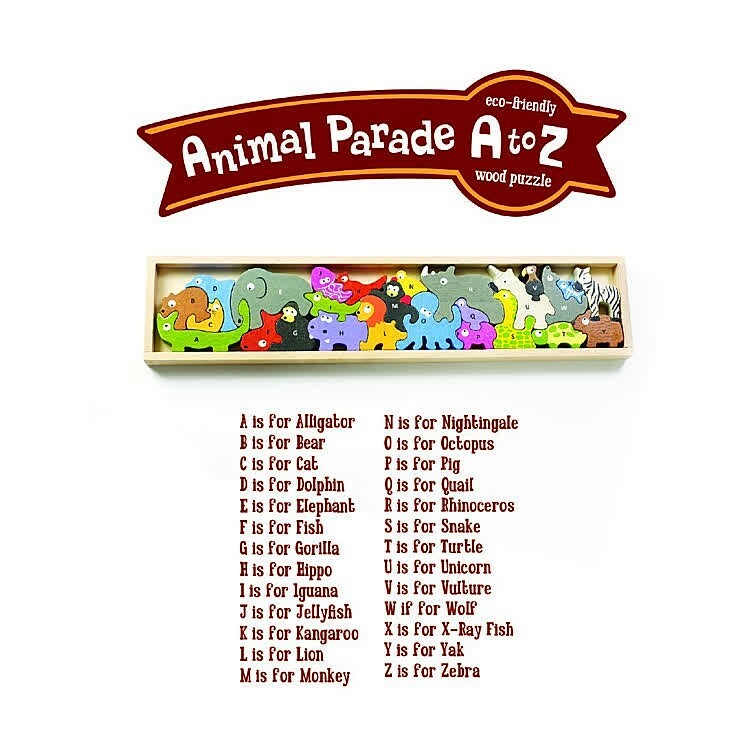 With the Animal Parade A to Z Wooden Animal Alphabet Puzzle Playset preschoolers and older children will learn their ABCs, new wild animals, enhance balancing and stacking skills, solve spatial problems, and have play puzzle fun. 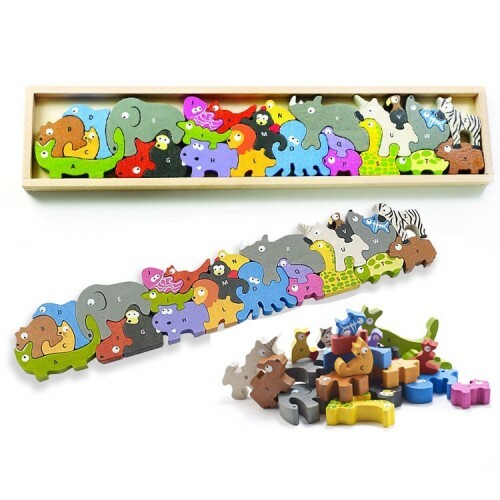 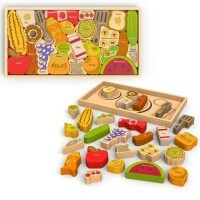 Educational Toys Planet recommends this wooden animal set for storytelling and language development. 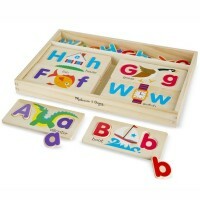 The letter learning puzzle is packed in a durable wood display box, perfect for pieces storage. 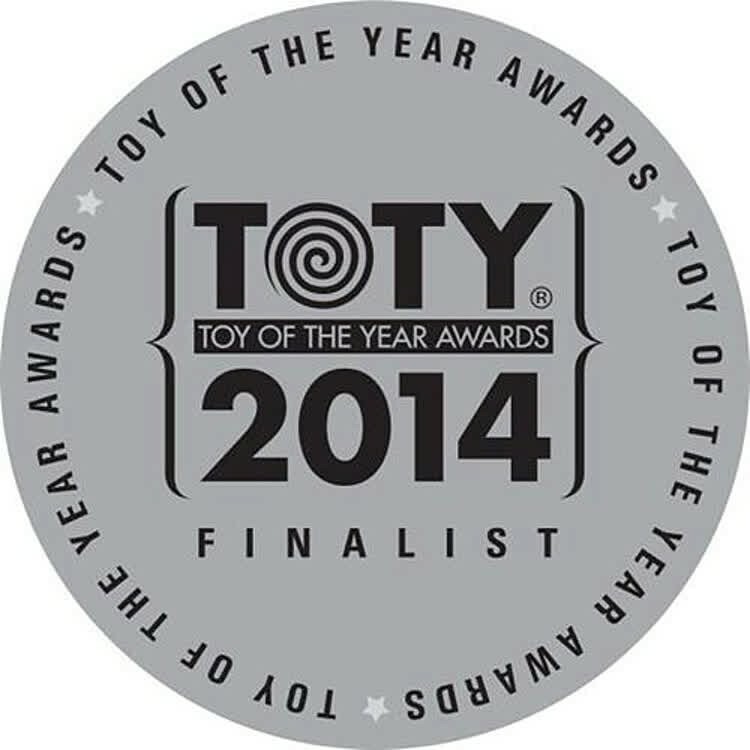 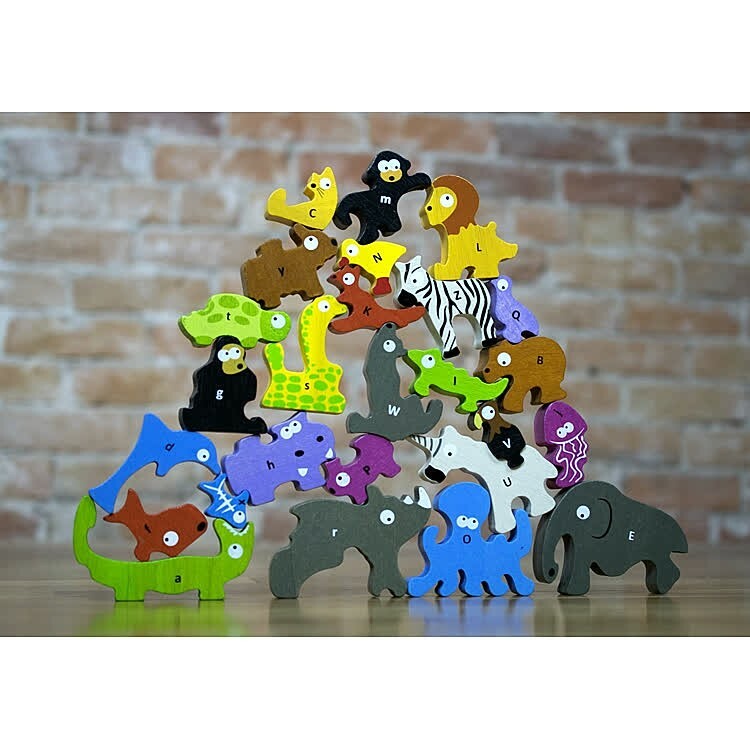 As all Begin Again toys this animal stacking puzzle is independently safety tested and free of BPA and Phthalates. 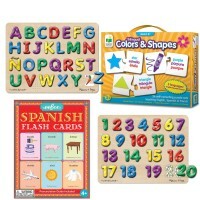 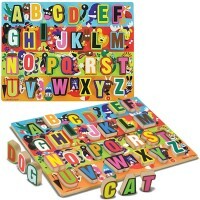 Dimensions of package 5" x 18" x 1"
Write your own review of Animal Parade A to Z Wooden Animal Alphabet Puzzle Playset.